Whether you need to relieve stress and rejuvenate your mind and spirit or relieve pain or help recovery from injury, let us develop a customized plan to return you to a state of balance and reduce or eliminate the pain and discomfort you are experiencing. We offer a variety of services to fulfill your wellness needs. Techniques available - Swedish, Deep Tissue, Sports/ Stretching, Myofacial Release, Cranial Sacral, Hot Stone, Prenatal & Postpartum. We will pick the best combination of techniques for achieving your best massage, after consulting with you. Feel confident when you purchase Wellness Time with us, you will be given your full time and attention. A 90-Minute Massage is 90-Minutes of hands on time with us! Unlike some others. We want to be your partner on your path back to your best self. Your well-being is our focus. 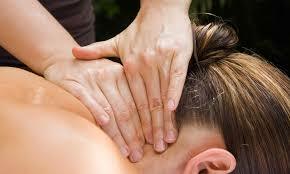 We create the best massage to meet your wellness goals and desire for relaxation & pain relief.